Enforcement of Arbitration Awards in the UAE under the new Arbitration Law – As simple as it gets? 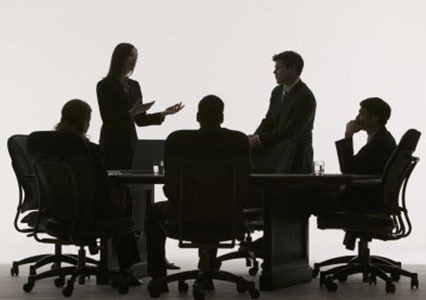 An arbitration case comes to the end with the issuance of an arbitration award to each party. If the losing party does not honour the arbitral award, the enforcement institutions of the state in which the assets of the losing party are located, need to be called. In the UAE, the enforcement of an arbitral award requires the submission of request regarding issuance of both – the confirmation of the award and the order to enforce the award (the ‘Enforcement Order’). With the new Arbitration Law, the enforcement proceedings now commence directly before the UAE federal or local Court of Appeal and not before the Courts of First Instance as earlier. With by-passing of the Court of First Instance, the time and cost consuming procedures to challenge the Enforcement Order have been reduced. This is a very positive development. Said Request for enforcement must be accompanied by the original award or a certified true copy thereof, a copy of the arbitration agreement, a certified Arabic translation of the arbitral award, and a copy of the transcript of filing the judgment with the court. Within 60 days, the court shall confirm and enforce the arbitral award unless, it finds that one or several reasons for annulment of the arbitral award, as mentioned in Art. 53 of the new Arbitration Law, exist. The Grievance to challenge the Enforcement Order or the rejection thereof must be filed within 30 days following the date of being notified thereof. 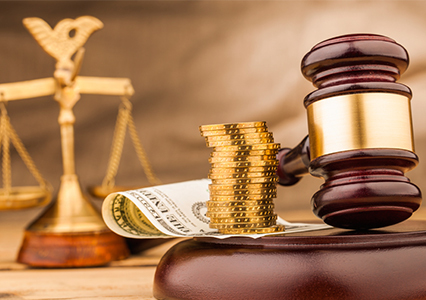 It is important to mention that, besides submitting the request regarding issuance of Enforcement Order, the winning party may and shall seek a freezing order from the civil court to preserve the losing party’s assets until the arbitral award can be enforced. Within 30 days following the notification of the arbitral award, the losing party can file a so called ‘Action for Annulment’ and prove the existence of one or several reasons for annulment as mentioned in Art. 53 of the new Arbitration Law, like the absence of an arbitration agreement, lack of capacity of one of the parties, no proper notice of the appointment of an arbitrator, and/or the violation of the litigation principles, etc. The judgment rendered by the court upon the Action for Annulment is not subject to appeals. However, the court from which the annulment of arbitral award is sought may – upon request – suspend the annulment proceedings for a period not exceeding 60 days and give the Arbitral Tribunal the opportunity to take any action that may eliminate the causes of annulment without affecting the content of the arbitral award. We think that the new Arbitration Law achieves a very welcomed shortening of the enforcement procedure. Apart from this, it remains to be seen how the new Arbitration Law will be implemented by concerned enforcement bodies. Azhari Legal Consultancy defended successfully the recognition and enforcement of a judgment issued by a California District Court. The judgment of the Dubai Court of Cassation rejecting the recognition and execution of the US-judgment is not a “milestone” judgment. It rather confirms the traditional case law related to the recognition and execution of foreign judgment in the UAE. In this context, the question raised is whether it would have been advisable for the Claimant to have used the DIFC Court as a “conduit” jurisdiction for the recognition and execution of the US-judgment? On May 11, 2014, an action was filed before Dubai Court of First Instance by a U.S. company (“the Claimant”) against a UAE company (“the Defendant”), represented by Azhari Legal Consultancy, for recognition of a judgment from a foreign court – the U.S. District Court, Northern District of California. The Court of First Instance dismissed the case on the grounds that (i) there is no applicable enforcement treaty between the United States and the United Arab Emirates (the “UAE”) and (ii) the judgment by the foreign court was issued in absence of one of the parties (Default Judgement) and as such cannot be deemed a final judgement and therefore it is subject to challenge. 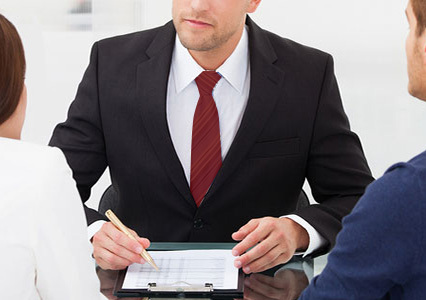 Subsequently, the Claimant appealed the judgment to the Court of Appeal. In its appeal memorandum, the Claimant argued that under the agreement in question, a distribution agreement, the legal procedures must have been followed under the laws of California and accordingly they did a proper service of notice which lead to the Default Judgment. Further, the Claimant cited a UAE Court of Cassation Ruling that all judgements or orders issued by foreign courts may be executed within the UAE if all elements of Article 235 of UAE Civil Procedures Law (the “CivPro Law”) are met. Article 235 of the CivPro Law enumerates the conditions under which a foreign judgement can be executed within the UAE. The Court of Appeal accepted the Claimant’s argument and reversed the Court of First Instance’s decision. Consequently, the Defendant challenged the decision and filed an appeal before the Court of Cassation. The Court of Cassation (Case No. : 517/2015 date of judgment 08/28/2016) confirmed the Court of First Instance’s decision and opined that in the absence of an applicable enforcement treaty between the UAE and a relevant foreign jurisdiction in which the judgement originated from, a foreign judgment may be executed within the UAE; however, the Claimant failed to prove that all elements of Article 235 of the CivPro Law are met for recognizing and executing the foreign judgement. This ruling should not surprise anyone since it is fair to say that the enforcement of foreign court judgments, in the absence of an applicable enforcement treaty, are extremely challenging, let alone the uncertainties and risks involved. Practically, in the absence of an applicable enforcement treaty between the UAE and a foreign jurisdiction, the odds of a successful enforcement through the courts of Dubai are slim. Alternatively, the DIFC Court’s enforcement regime may open up a wider route to enforce foreign court judgements within the UAE. According to Article 7(6) of the Judicial Authority Law (the “JAL”) and Article 24(1)(a) of the DIFC Court Law (DIFC Law No. 10 of 2004), the DIFC Courts have jurisdiction to ratify any judgment of a recognized foreign court for the purposes of enforcement in the courts of Dubai. Several recent judgments by the DIFC Court of Appeal have confirmed that it has jurisdiction to recognize and enforce foreign court judgements. In DNB Bank ASA v Gulf Eyadah Corporation and Gulf Navigation Holdings PJSC, the DIFC Court of Appeal found that: “a foreign judgment when granted recognition in the DIFC Courts, becomes a local judgment of the DIFC Courts and should therefore be treated as such by the Dubai Courts”. The most important issue to be addressed then would be whether the courts of Dubai are willing to enforce “conduit” DIFC Court judgments. 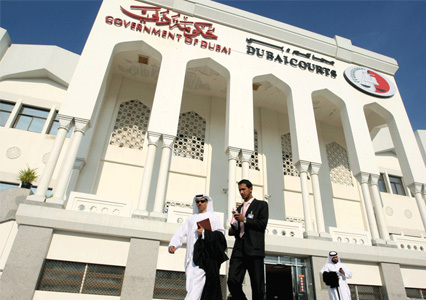 Recent developments in the UAE legal system and in particular the increasing level of cooperation between the Dubai Courts and the DIFC Courts systems suggest a new channel of enforcing foreign court judgments through the DIFC Courts system, even though in practice it yet remains to be seen how the courts of Dubai would react. In light of DNB Bank ASA v Gulf Eyadah Corporation and Gulf Navigation Holdings PJSC, it would have been certainly advisable for the Claimant to have sought recognition and execution of the California judgment before the DIFC Courts. On June 9, 2016, H.H. The Ruler of Dubai issued Decree 19/2016 (the “Decree”) to establish the ‘Judicial Tribunal for the Dubai Courts and the DIFC Courts.’ Given the uncertainties as to how DIFC Courts and Dubai Courts should have jurisdiction, the Decree could become an important development in Dubai’s legal system. The intentions of the Decree are to rule on (i) conflicts of jurisdiction; and (ii) conflicts of judgments, between the DIFC Courts and the Dubai Courts. Even though it is still unclear when the Judicial Tribunal will become operational or what precise procedure an applicant should follow, certain significant developments are expected to occur, thanks to the Decree. A few important ones are the following: a) Binding and non-appealable decisions on jurisdiction must be rendered within 30 working days of filing an application; b) the Judicial Tribunal will comprise the President of the Dubai Court of Cassation (as chairman, who holds the casting vote), 3 judges from the DIFC Courts (including the Chief Justice, and 2 nominated by the Chief Justice) and 3 judges from the Dubai Courts (including the Secretary General of the Judicial Council and Presidents of Courts Appeal and First Instance); and c) Applications to the Judicial Tribunal will result in a stay of the underlying proceedings, including stopping of the clock for the purposes of statute of limitation, in both the DIFC Courts and the Dubai Courts. 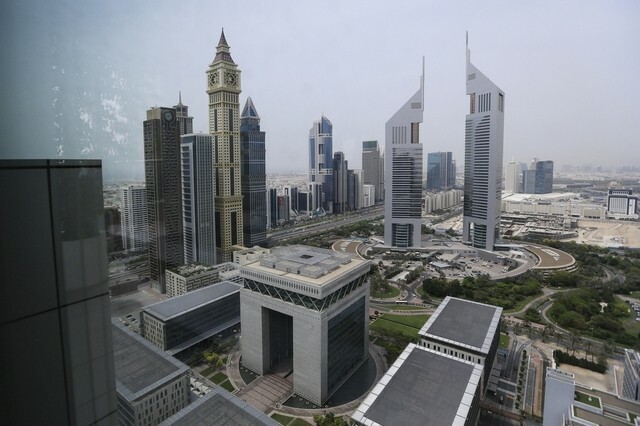 While the actual ramifications of the Decree are yet to be seen, it is fair to say that the Decree will provide more certainty on the already-existing conflicts of jurisdiction between the DIFC Courts and the Dubai Courts and perhaps an expansion of the jurisdiction of the former.